For over 20 years, Dr. McDonald has dedicated his professional career to providing his patients with comfortable, personal, state-of-the-art dental care. 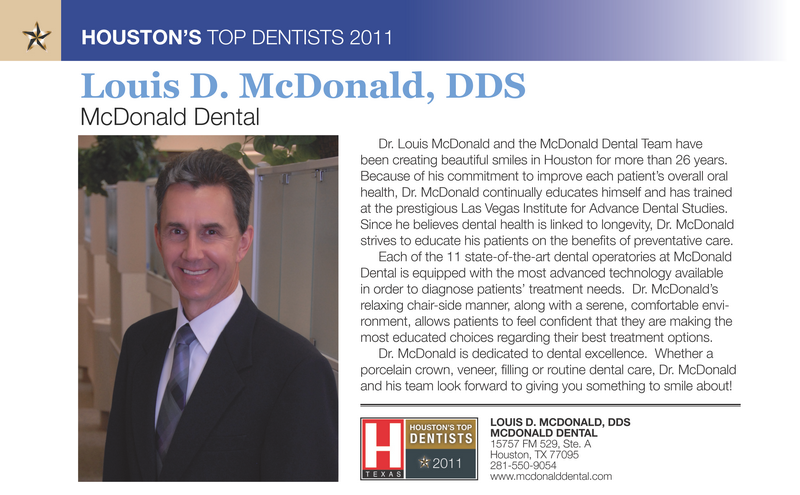 A native Houstonian, Dr. McDonald continually educates himself and his staff on the most up-to-date dental techniques and advances. He has completed numerous continuing education courses, including training at the prestigious Las Vagas Institute for Advanced Dental Studies. Dr. McDonald and his wife, Paula, enjoy spending time with their 5 children. His hobbies include jogging, fishing, gardening and landscaping.